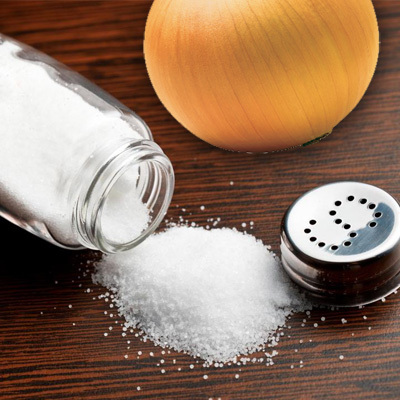 A commercially prepared mixture of onion powder and salt used as a seasoning for meats or vegetables. Use when fresh onion is unavailable or undesirable. It is made from finely ground dehydrated onion and table salt.